In this program we focused (mostly) on positive news stories, focusing on the themes of Ecotopia: exploring ecosystems—environmental, social, technological. Our reading ranged from the Paris COP 21 Conference to futuristic technological possibilities, linked, as we said “inextricably” to social concerns and social justice issues. This was not, however, a pollyanish program, and we found ourselves discussing threats to the planet, not only environmentally, but socially and technologically. Steve substituted for Sue Hilderbrand on The Real Issue and spoke with two groups and some amazing individuals who are building community in OurTown. First he spoke with Gerard Ungerman and Stacy Wear, whose Respectful Revolution project is creating short videos of people who are making a difference in their communities. Respectful Revolution can be found online at respectfulrevolution.org. The site features an interactive map, where you can click on cities from Florida to California and beyond to hear these amazing people tell their stories. 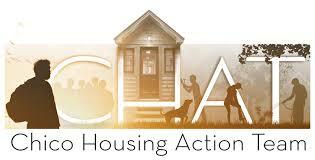 Then he interviewed Leslie Johnson, Bob Trausch, Donn Forgy, and Sheldon Praiser of the Chico Housing Action Team. At the moment, CHAT’s work is focused on Safe Space, which provides overnight housing 90 nights for homeless people in the area. CHAT has also leased a house that provides independent living for five people and continues its long-range effort to develop a Tiny House Village in Chico. They’re at www.chicohousingactionteam.org, where you can also volunteer to participate in Safe Space. We interviewed Zev Lowe of WorldReader, a nonprofit that distributes e-readers, small solar units, and free libraries to 69 countries around the world, reaching over 5 million readers (and they’ve only been operating for five years!). We were impressed by the program’s focus on literacy, curating libraries with local focus, and technology. 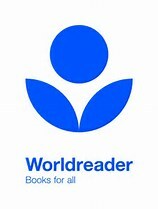 And we and Zev mentioned end-of-year giving, which can be done at the WorldReader website: http://www.worldreader.org. Continuing the theme of end-of-year giving, we also described organization who, we think, deserve support—this based on our interviews with their representatives on Ecotopia the past year. We noted that there are so many deserving local/regional organizations that we felt it would be unfair to identify a few, but you can go to the website of the North Valley Community Foundation <nvcf.org> to see a long list of local nonprofits doing great work and to make a contribution. This program was the third in our series covering the Paris COP 21 climate conference. We began by describing some of the highlights of the accords signed by 190 participating countries. In addition to mentioning the highlights, we also reminded listeners of the weak spots in the accord and observed that beyond the work of politicians, saving the climate will be up to citizens. Then we took to the streets to talk with NorthState people participating in a climate change rally in Chico. They voiced their concerns about climate change and spoke of some of the ways in which individuals can make a difference. We concluded the program with a brief interview with Robyn DiFalco, Executive Director of the Butte Environmental Council, where she offered her thoughts on the Paris accords and discussed what BEC and others are doing locally on behalf of the environment. As part of the rally conversation, Chris Nelson read a pledge for nonviolence that many participants signed. For a copy, click here. Listen to the program: click here. Erika Rosenthal was our guest on this program, she in Paris, we in Chico. Erika was a delegate to the COP 21 conference and spoke to us about her perspective on what was happening at the conference and the hopes for its successful conclusion. She is a staff attorney at EarthJustice, where her work focuses on climate change, international negotiations, and with U.N. Environment Programme and regional bodies like the Arctic Council to reduce emissions of atmospheric pollutants such as black carbon and ozone. Continuing our coverage of the Paris COP21 conference, we spoke with Abigail Dillen of EarthJustice. She leads the organization's litigation docket and legal advocacy work on climate change and reducing carbon pollution, identifying strategic opportunities for the expansion of clean energy and bringing down barriers to clean energy nationwide. In this excellent interview, she spoke with us about the Paris COP21 climate change talks, their possible impact, and the hopes for a successful, meaningful, and binding agreement from the participants. We had two great local activist guests on this program. In the first half hour, we spoke with Barbara Vlamis, Executive Director of Aqualliance, the organization that is fighting to keep Northstate waters where they belong: in the Northstate. Then we spoke with Kevin Killion of Chico 350.org about plans for climate change rallies here in Chico during the Paris COP 21 climate change talks. From September through November, we were on vacation while Ecotopia was run by our colleagues Guillermo Mash, Chris Nelson, Sandyi Morales, Sue Hilderbrand, and Amy and Natalie Harris. These shows are not archived, so there's a wee gap in the fossil record. In this week’s program, we spoke with two activist groups. Mark Stemen of the Butte Environmental Coalition, Charles Withuhn of Chico Creek Advocates, and Emily Alma of Friends of Commanche Creek Greenways spoke to us about Pacific Gas & Electric’s proposed tree cutting along Commanche Creek. They urged listeners to participate in a public meeting of the Bidwell Park and Recreation Committee and to demand that PG&E follow the Chico Tree Ordinance and not cut down trees without further environmental review. 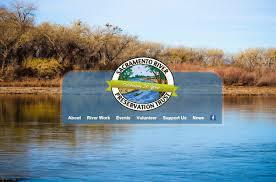 Then we spoke with Lucas RossMerz, Executive Director of the Sacramento River Preservation Trust, and Robb Gage of Gage's Fly Fishing and Eco Tours about Robb’s tours that educate about the river and provide financial support for the River Trust. They spoke as well about fish populations during this time of drought and about ways in which all of us can work to preserve our rivers and streams. 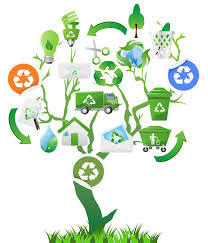 In this program, we interviewed Steve Rodowick, supervisor of Butte County Recycling. (Click for their website.) He described the county’s recycling efforts and amazed us with the complexity of the operation, from collection to sorting to reuse, all with the (successful) aim of reducing the amount of material deposited at the landfill. He also talked about future plans for recycling here in Butte County as well as around the world and linked recycling to energy conservation, land use, the design of industrial products, and even the use of landfills as “mines” for materials and flammable gases. Listen to the program. Our guests were Tom Hess and Rex Stromness, co-owners and founders of the Yoga Center of Chico. We asked them about the philosophy and history of yoga, the variety of yoga practices and traditions, how yoga made its way from East to West, and how it has influenced their own lives. This was a highly informative discussion for us and allowed us to understand yoga in ways that you can’t just by reading a Wikipedia article. And if you listen to the show, you can hear Susan actually execute a yoga pose, this as part of our ongoing efforts to make radio visual. Listen to the interview. We interviewed Carl Safina who has written a book titled Beyond Words: What Animals Think and Feel. Carl argues for and has research to support the thesis—or fact—that animals think and feel much more than we have given them credit for. He spoke of elephant empathy, wolves at play, and the intelligence of orcas: the maligned “killer whales.” He said, in addition, that this kind of research is not a “boutique” or hobby effort—that preservation of species is vital to the earth, including the humans who are not as smart as they think and who could learn a lesson or several from animals. Listen to the interview. This week we spoke with Joel K. Bourne, Jr., author of a new book called The End of Plenty: The Race to Feed a Crowded World. He explored some of the ways in which the food supply chain is failing and will continue to fail as and if population continues to grow. He talked about the work of Thomas Robert Malthus and his much debated idea that procreation happens faster than food supply increase and discussed current issues such as pesticides and soil depletion, market manipulation, corn-for-oil, and more. He ended the interview by offering alternatives: keep on as we are or turn to education, especially education for girls, as a way of heading off population growth. Listen to the interview. We interviewed Michigan State University professors Tom Dietz and Ken Frank about an article they recently published in Proceedings of the National Academy of Sciences. In it, they reported their research correlating environmental activism (as measured by congressional voting records) with state-by-state carbon emissions. 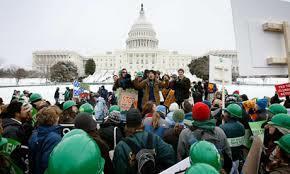 They found that activism does make a difference in that projected C02 emissions due to population increases and affluence are mitigated by environmental activism. We spoke with them about the complexities and certainty of their statistical analysis and, more broadly, what this means for activism. There’s hope! In this episode, we spoke with Dr. Jada White, a local Chico environmentalist, and Becca Holden of the Butte Environmental Council. They described their work studying and saving Blue and Valley Oaks in our area. Jada’s research looked into why many oaks are not growing much above sapling size, and she discovered some interesting causes and practical solutions. Becca described BEC’s oak reforestation project, where volunteers provide water and protection for saplings that are raised and cared for by volunteers. She also discussed some of Butte Environmental Coalition’s other educational and volunteer projects. Hear all about oaks. On July 1, we substituted for Sue Hilderbrand on The Real Issue, and we discussed how individuals can stand up against Big Government and Big Business. Our first guest was Dave Garcia, who has led the anti-fracking campaign in Butte County and is now going up against Big Oil and Big Railroads in wanting new regulations for the oil trains that have had so many derailments and explosions. Then we spoke with Pamm Larry, who has led the crusade in California and around the country to require labeling of foods with genetically modified organisms (GMOs). These two people are a testament to what individuals can do to sling some shots at Big Problems on the local and national scenes. Listen to the Program. On this program, we played excerpts from a speech by 350.org founder Bill McKibben, given here in Chico. In the four segments, Bill discusses the problem of climate change, what is and isn’t being down to lessen it, the work of 350.org, and what individuals can do, both as individuals and collectively. Listen to the program. On this edition of Ecotopia we explored the ecosystem of shopping, how to do it so “every dollar makes a difference.” Our guest was Ellis Jones, author of The Better World Shopping Guide (5th Edition) recently published by New Society. He received his doctorate in sociology from the University of Colorado, Boulder, and has since focused his work on global citizenship and everyday activism. The Better World Shopping Guide gives information on what you need to know to shop “green” for everything from airlines and appliances to vitamins, water, and wine. This program featured the work of Linda Holm’s 5th-6th grade students at Wildflower Charter School. They researched the history of those decades, including radio itself, plus history and culture. They then wrote and recorded fifteen minute programs with news, comedy, music, advertisements, and mock interviews. We thought their work made a fascinating study of the “ecosystems” of those decades, and as you listen to the programs, you’ll hear about prohibition, flappers, electric refrigerators, Al Capone, the stock market crash and Great Depression, the invention of computers and hair dryers, and World War II. We are always pleased to have young people on Ecotopia, and this program shows the value of radio as a part of the curriculum. Listen to the program: Click here. Our guest was our daughter-in-law Sammey Zangrilli, who organizes and sponsors the free-to-all Bicycle Music Festival. She shared plans for this year’s festival, which begins at Farmer’s Market and wends its way to Manzanita Place via Bidwell Park. She and we also shared bicycle facts and humor. We don’t have a recording of this program, but you can find it on the KZFR website: kzfr.org. Click on “programs”; then find and click on “Ecotopia” in the Tuesday lineup—that will take you to the station’s audio file. Our guest is the founder of 350.org, the climate change campaign organization that has organized 20,000 rallies and demonstrations around the world. 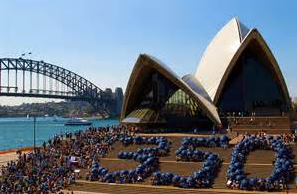 In just eight years, Bill and 350.org have used social media to create a vast network of people taking to the streets to let the world know about earth’s fate if we continue to let carbon in the air move beyond the optimum level of 350 parts per million (we’re already at 400 ppm and climbing). Listen to the program. Click HERE. As we scan the news for interview topics for Ecotopia, we frequently run across stories, ideas, and people that we simply can't fit into the program. So from time time, we collect some of these materials for reading and commentary. In this program, we read about topics that ranged from science . . . to species . . . to coffee . . . to oil . . . to water. To listen, click below. In the first half of this program, we interviewed Gabe Kopp and Michael Hellmair of BioFish, Ltd., a fish monitoring and habitat restoration firm with offices in Chico and around the world. We asked them about their numerous projects in the Sacramento Valley and beyond and focused particularly on the "green economy," where people can make a living while working to restore and enhance the environment. We learned that BioFish is doing that, but, in addition, it does a great deal of pro bono work in our area. We hope to have them back to talk in more detail about their projects. And then we spoke with seven fifth graders from Linda Holm's class at Wildflower Charter School. They have been studying dolphins in captivity and read their letters addressed to local media, dolphin shows, and to the general citizenry. We were impressed not only with their writing, but with their discussions of why dolphins are harmed in captivity and should be treated differently. This interview shows clearly what young people can do when they get engaged in environmental issues. Listen to the program. Click below. In this program we explored Lyme Disease with Lisa Sun, President of the Lyme Center; Shelly Mariposa, Vice President of the Lyme Center; Nick Fararr, Board Member; and Mitch Hoggard, pharmacist and researcher of Lyme Disease. Our guests described their personal experiences with this complex and often undiagnosed disease and discussed current treatments and research which sometimes bring results and cures. 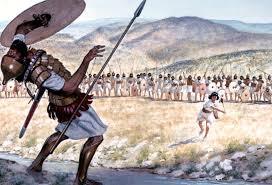 To listen to the program, click below. 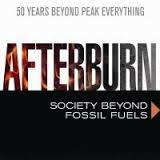 Our guest was Richard Heinberg, author of Afterburn: Society Beyond Fossil Fuels (New Society, 2015). The book is a collection of his essays and addresses, and we spoke with him about a range of topics, including fracking and peak oil, consumerism and why it's difficult to persuade people that climate change is a threat, living on borrowed time, local economies, and "the Cooperative Darwinian Movement," where, Richard says, we can learn to evolve socially and culturally in ways that will allow us to live successfully and sustainably in a post-carbon world. You can read more about Richard and his work at richardheinberg.com and we particularly recommend that you check out the Post-Carbon Institute, where he is a distinguished fellow. post-carbon.org. 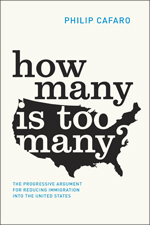 population overshoot: HOW MANY IS TOO MANY? Our second guest was Phil Cafaro, professor at Colorado State University. Our technical woes continued, and we were not initially able to reach him by phone. So . . . we did an impromptu reading of our correspondence with Phil, where he addressed many of the questions we planned to ask. Midway through the program, we did manage to reach him to begin (or resume) the conversation. Despite being slighty flawed, this is a good program for you to listen to: click below. Our first guest on this program was Walker Foley, Southern California Organizer of Food and Water Watch. He discussed Governor Brown's new 25% reduction of water use (for consumers, not farmers) and also explained what's happening with fracking, how the oil industry is injecting poisoned water into SoCal aquifers, and how his organization is working to stop the abuse of our water systems. And then we spoke with Jim Brobeck and Barbara Vlamios of Aqualliance, who discussed a recent California Water Commission public meeting in Chico concerning water storage and the proposed Sites Reservoir. They also explained the dangers in the recently approved north-south water transfer scheme and how they plan to take legal action to stop it. As guest hosts on the Peace and Social Justice Program, we did two segments that will likely be of interest to Ecotopia listeners. Jim Haber of World Beyond War explained their project, Mapping Militarism. They have create a series of interactive (click here) maps that show military actions and preparations around the world: how much governments are spending on the military, where drone strikes are taking place, the number of military incursions a country has conducted over the past 50 years, and much more. Check out the maps at <http://worldbeyondwar.org/aboutmaps/>. Click below to hear this segment. We also spoke with Ana Maria Cardenas of The Interreligious Foundation for Community Organization (IFCO) and the Pastors for Peace Program about their work supporting Latin American solidarity as well as President Obama's efforts to normalize relations with Cuba. She also spoke about the coming Pastors for Peace Friendshipment to Cuba, which takes bus loads of medical and other supplies to Cuba in a direct action protesting the U.S blockade of Cuba. 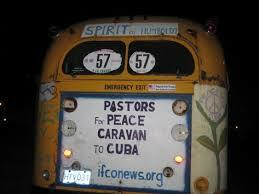 For more information about IFCO and Pastors for Peace (including an application if you'd like to join the Caravan) go to <ifconews.org>. Listen to the segment by clicking below. Our topic was “Fusion Economics,” with the author of a book by that title. 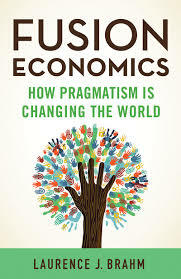 Laurence Brahm argued that we need to stop imposing abstract and and academic economic theories around the world and turn to pragmatism that leads to localized diversification and green living to create a sustainable and socially just economy. He's an attorney, economic specialist, filmmaker, and global activist. Many of his ideas about pragmatic economics were developed in Asia where he has been a consultant in China, Laos, Vietnam, and Tibet, and he has also worked in Africa, Russia, Bangladesh, Sri Lanka, and Bhutan. Of particular interest was his discussion of the Himalayan Consensus <himalayanconsensus.org> and the African Consensus <africanconsensus.org>. Also check out his website at < www.laurencebrahm.info>. To listen to the program, click below. Freight trains loaded with crude oil from the Bakken field in North Dakota and the tar sands in Canada have dramatically increased in number and length in North America, and the number of oil train derailments and resultant fires and environmental contamination has increased proportionally. In this program, we first spoke with Richard Pranulis from Alderson, West Virginia, who has been deeply concerned about CSX railroad oil trains, one of which recently went off the rails and exploded in Mt. Carbon, WVA. Then we talked with researcher Paul Rea from Newark, California, who is among a growing number of Californians (and environmentalists nationwide) who are calling for increased safety measures for the oil trains, including some passing down the Feather River Canyon, something he calls a “fast track to disaster.” Paul also alerted us to a petition about the oil trains to President Obama <http://bit.ly/Obamapetition> and has made available copies of his pamphlet, Oil Trains in Feather River Canyon--Fast Track for Disaster , available at the Chico Public Library, the Chico Peace & Justice Center, and the Butte Environmental Council office. We can send listeners a pdf copy, just e-mail us at ecotopiakzfr@gmail.com. Our guest was Dave Foreman. He was one of the founders of Earth First! back in the 1970s and has had a long career as an environmental conservationist. He is also the founder of the Rewilding Institute, which seeks to connect the need to save and recover endangered species with the recognition that population explosion is the cause of much species lost. 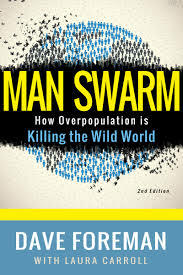 Population and rewilding are the subject of his new book ManSwarm: How Overpopulation is Killing the Wild World (coauthored with Laura Carroll, LiveTrue Books). We spoke with Dave about overpopulation, including what he calls "the thorny topic of immigration." Click below to listen to the program. In this program, we spoke first with Gerard Ungerman and Stacy Wear, who are conducting a fabulous film/video project, "Respectful Revolution." They travel the countryside looking for and talking with people who are making a difference in their communities. They post their videos at respectfulrevolution.org. Then we talked with Charles Withuhn of Chico Tree Advocates, a group that is campaigning to save Chico trees from destruction and is engaged in planting trees for future generations to enjoy. 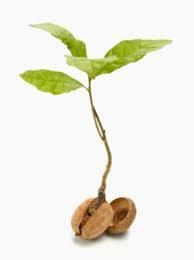 Check out their web page at http://www.becnet.org/chico-tree-advocates. We welcome back to the microphone Robert Wintner, aka Snorkel Bob, whose environmental mission is to preserve coral reefs and the tropical fish that inhabit them. He spoke about his new book and film, Reef Libre, based on his observation of the still-pristine coral reefs of Cuba. For more information about Robert and his work, go to snorkelbob.com and reefrescuealliance.org. To listen to the program, click below. Kathryn Miles has written a nonfiction page-turner titled. Superstorm: Nine Days Inside Hurricane Sandy (E. P. Dutton). She read several gripping sections the book and discussed the ecological and meterological predictions that we can make on the basis of Sandy. Kathryn also spoke articulately about the role of writing for the "popular" market as a way of promoting environmental awareness. By coincidence, as we were talking with Kathryn in Portland, Maine, New England was being battered by a big snowstorm, so this gave us a chance to talk more about weather forcasting and the tightrope walked by city officials when it comes time to take emergency measures. Listen to the program. Click below. This program focused on local activists and some events and actions in Chico. First we spoke with Claire Greene, a member of the steering committee of the 16th Annual Snow Goose Festival, celebrating the Pacific Flyway and its critters through workshops, field trips, and events for kids and adults. Then we spoke with Linda Herman of the City of Chico, who was the lead in getting Chico's new plastic bag ban implemented in area food stores and more. Click below to listen to the program. This week we began by talking with and turning the microphone over to KZFR programmer Sterling Ogden, who has been studying the development of hydrogen fueled cars in California and elsewhere. He spoke about the environmental impacts and discussed the future of these vehicles. He was highly persuasive, and we're thinking hard about a hydrogen-fueled ZEV (Zero Emissions Vehicle) for our next car. Then we spoke with Derek Hundert of PlanET Biogas USA, whose company creates digesters that can create biogas--mostly methane--from a wide range of organic materials. We spoke with him about the size of these units and the kinds of operations that PlanET has installed around the world. We were especially impressed by Derek's explanation of the complex outputs of this process and the "revenue streams" that can be produced via biogas and electrical generation. Our guest in the first half of the program was Ilana Solomon, Director of the Responsible Trade Program at Sierra Club national office in Washington. She discussed various projects her department conducts in a search for global trade that does not damage the earth. She was particularly helpful in describing how international trade pacts have been done largely in secret and even allow big business to sue governments. Then we spoke with Joni Stellar and Dave Garcia of the Yahi Chapter of the Sierra Club. They are remarkable activists who have led the anti-fracking fight in Butte County and who continue to fight for environmental justice on issues ranging from water to trees..
For earlier Ecotopias, click here for Archives.